From his obituary – Dodenhoff studied at the Art Center School in Los Angeles. He worked in the commercial art departments of Northrop Grumman and McDonnell Douglas. 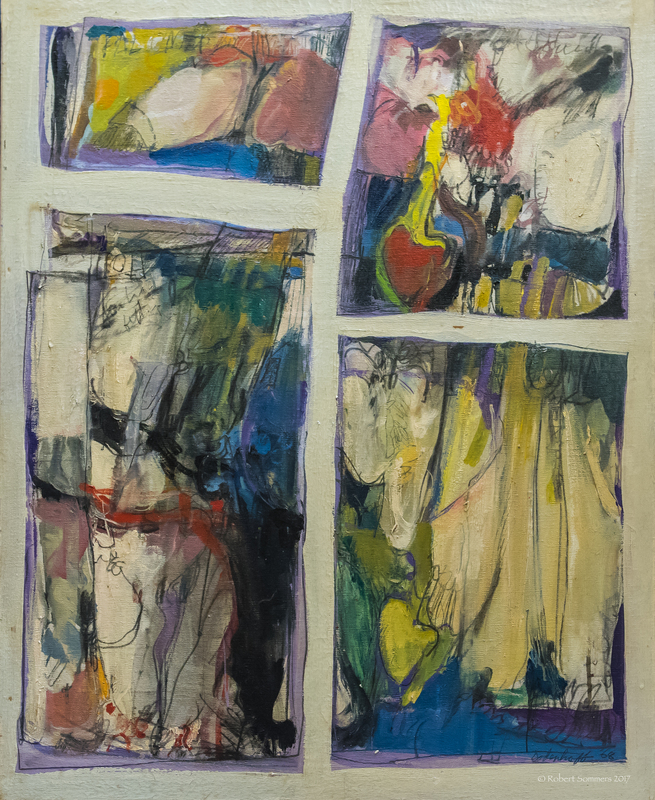 An award-winning painter, Dodenhoff was showing in Los Angeles galleries in the late 1950s and early 1960s during the height of the Abstract Expressionism movement. While equally adept at realism, he painted a masterful abstract language of color and form until his death. His art has been shown in exhibitions nationwide and is in the government.